The re-brand of Emerson's. Working with BrandAid, we created a new tone of voice to go with the re-design, as part of the opening of their new state-of-the-art brewery. 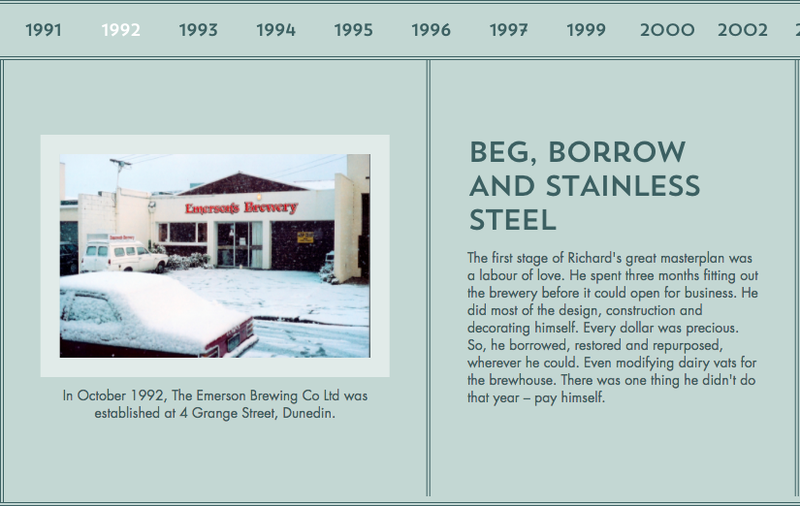 It was a delicate matter, moving things forward without alienating the loyal followers of this much-loved Dunedin brewery. The large scale project is still in progress as we write labels, ads, signage, the website, and anything else that's needed. 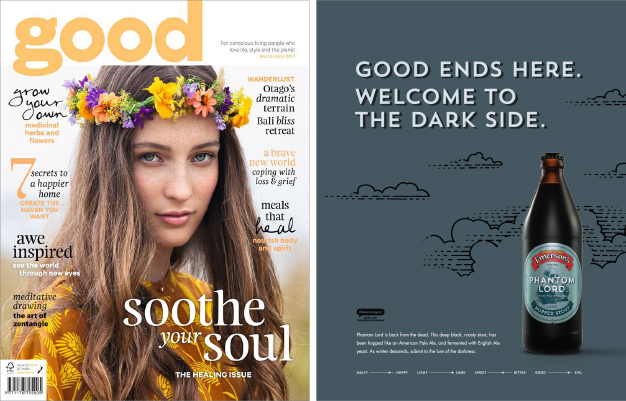 Back cover ad for Good Magazine. Words about Emerson's history, found on their website.